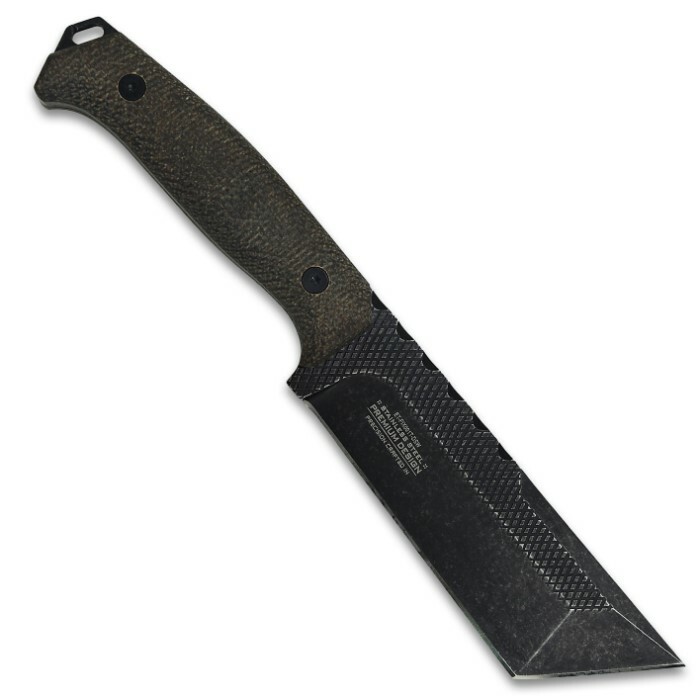 Elite Black Tactical Tanto Knife With Sheath - 8Cr13 Stainless Steel Blade, Stonewashed Finish, Micarta Handle Scales - Length 10 1/2” | BUDK.com - Knives & Swords At The Lowest Prices! 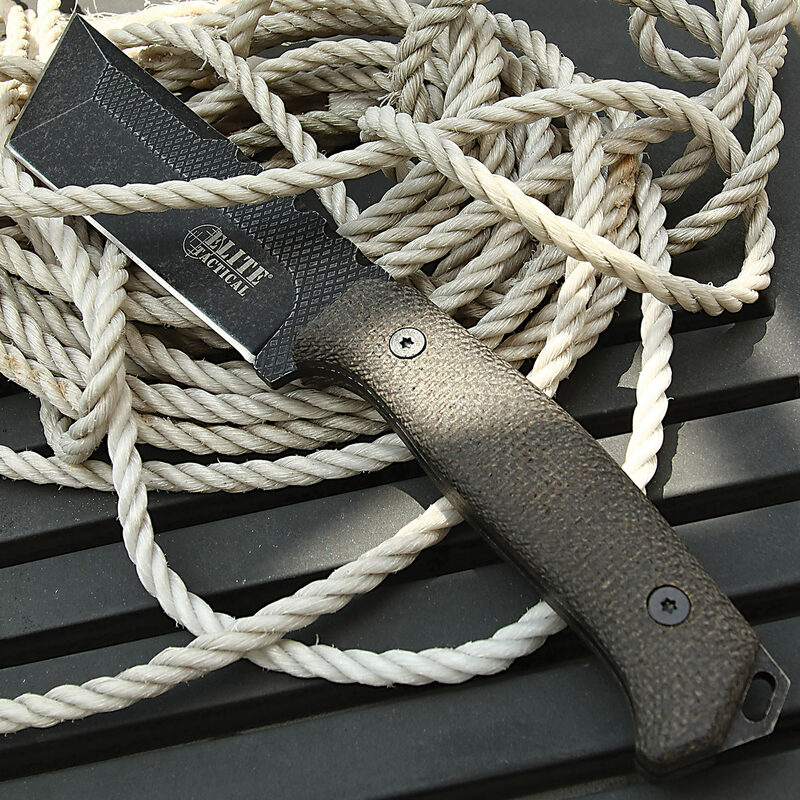 A heavy-duty beast, the Elite Black Tactical Tanto Knife is a solid companion to have with you at your side out in the field. 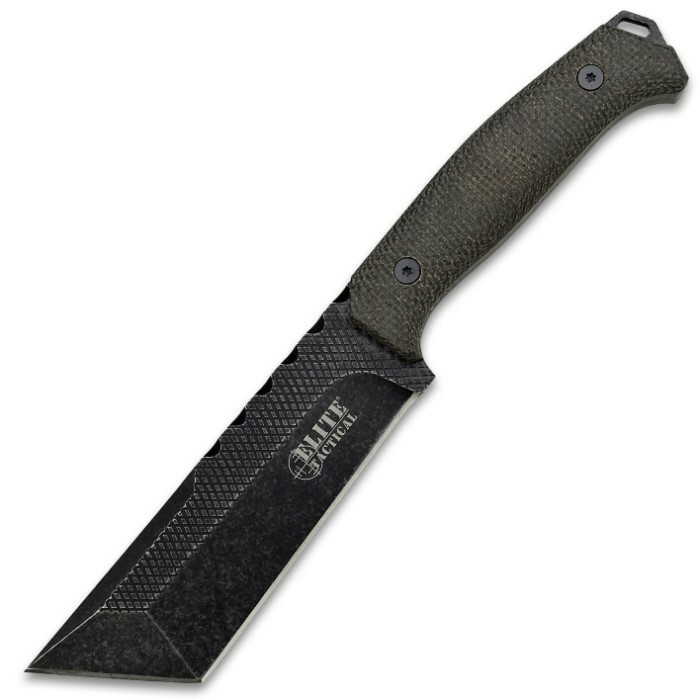 It has a keenly sharp, full-tang 5 1/2” 8Cr13 stainless steel blade with a black stonewashed finish and a tanto point. The black Micarta handle scales are secured to the tang with heavy-duty screws and the handle has a lanyard hole. 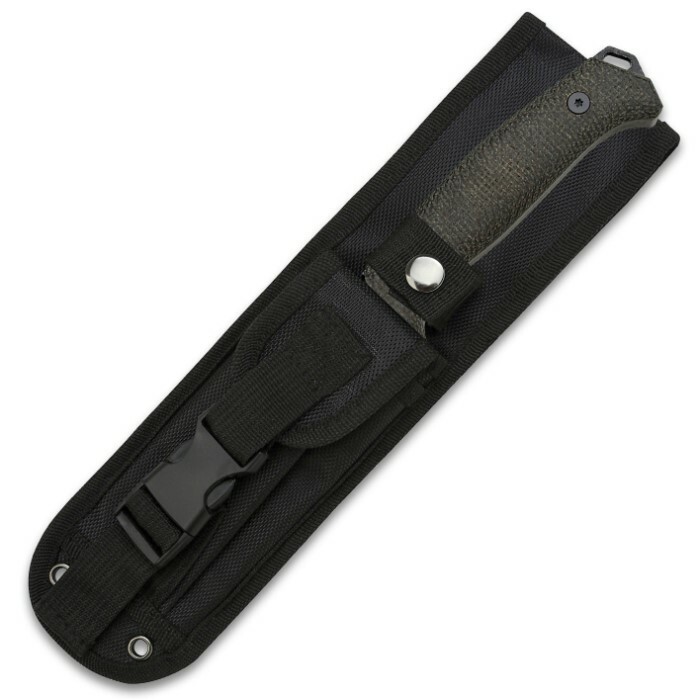 The 10 1/2” overall fixed blade knife slides securely into a MOLLE compatible nylon sheath with a handle strap snap closure.